ALL IN ONE – All new Omnibus F4 Pro CORNER. 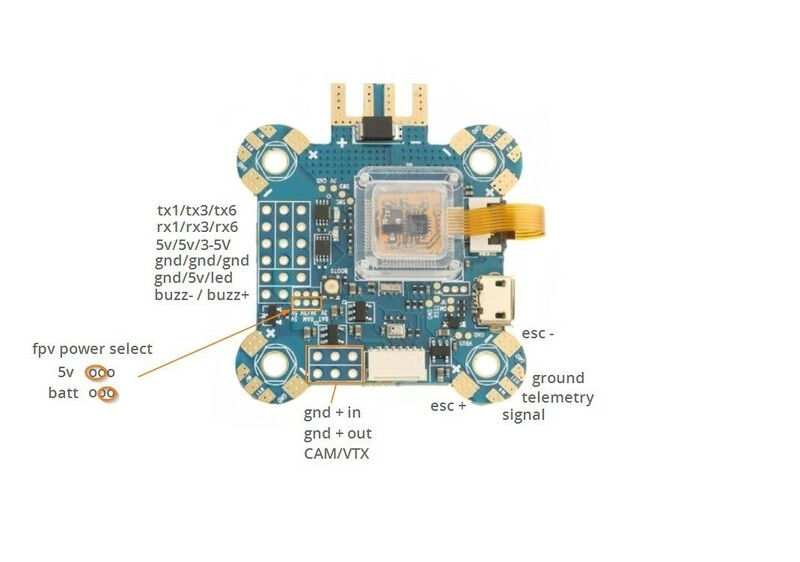 Great new features like soft mounted ultra fast gyro, Pro-grade PDB, BEC, BARO, Betaflight OSD and easy telemetry pads for 32bit BLHeli_32 or KISS escs. Software controlled invertors (x2). - ICM20608 (32Khz). Same as the “super secret” RF1 gyro. Soft mounted. Replaceable with MPU6000 (option). - 2x hardware invertors (on UART3 and UART6). On/Off switchable by software (betaflight resource command).